Our product range includes a wide range of 4 seater passenger e - rickshaw, battery scooter electric, electric handled balancing heavy duty future personal transport scooters, self balancing scooter multi color hoverboard, self balancing scooter, hoverboard scooter and electric hoverboard. 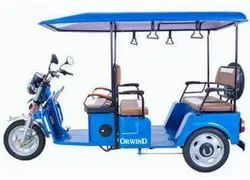 ORWIND POWERSCOOTER+GRAND 4 Seater Passenger Electric / ERickshaw,Battery Charging Time: 7-8 hoursDescription: Our company has garnerednumerous accolades in the industry by relentlesslycatering to the rising demands of our patrons in bestpossible manner. With best practices and customizedsolutions we assure you of the most superiorproducts and satisfaction in all our dealings. We usedHigh quality tyre so that it can bear load , and also inour rickshaw you can used only one spare wheel forfront and rear wheels . 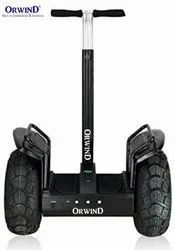 ORWIND XL-StarBoy Electric HandledBalancing Heavy Duty Future PersonalTransport ScootersDescription: With larger tires and double the power. Withthe capacity for more than 2 times the riding distance than the MiniBalancers, this can carry upto 140 kg in weight. Its adjustable, paddedhandlebars make scooting comfortable and easy. The handles arepadded for extra comfort and the handlebar can be raised from 80-120cm for comfortable, secure riding. Big tires with air-filled tubes allow theuser to travel on a variety of surfaces. 1.Zero emission & no pollution:All the power source of ORWIND XL comes from lead acid battery, and itis convenient to charge by using power supply for household. You canenjoy driving about 30-35km at the speed of 10km/h-18km/h aftercharging, without any emission or any destruction to the environment. |2.Low energy consumption: ORWIND XL has an extremely lowcost_0.03/km per person, 20 times less than the cost of a car withdisplacement 1.2L, which is 0.63/km per person. | 3.High efficiency:Circular energy reserving system is another sparkle of ORWIND XL. Byutilizing the control module of gravity, ORWIND XL can brake and stopby judging the center of gravity rather than configuring a traditionalbrake system based on friction. | 4.Ideal Selection: ORWIND XL is anideal and advanced travel tool in an extremely crowded city because ofits small size, reliable security and unique driving technology. TApplications: Leasing ,Tour ,Patrol ,Fun etc..
General Aux 6.5 Inch Hoverboard is really a classic design self-balancing scooter. With simple operation and sufficient battery range, you’re free to enjoy portable and pleasant life. Original Samsung Lithium Battery. 6.5 Inch Magnifying Slim Wheel. Safe Engine Control System. 20km Distance With Full Charge. 12km Per Hour DrivingSpeed. 90 Minutes Get Full Charged.esigned to be the safest self-balancing scooter. 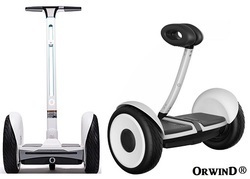 • Self balancing scooter will automatically stop when detecting a slip or unbalanced rider. • Features a max speed limit, which will prevent the scooter from accelerating to unsafe speeds. • Premium quality gyroscopic and gravity sensors detect riders control fast, enabling precision control and safety. • Tire protection shield to effectively prevent clothing from getting stuck and also acts as a collision shield. 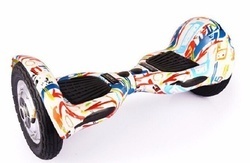 • Features super-performance non-slip pedal platforms for maximum grip. • Features 8 Super-bright LED lights for high night time visibility. Enjoy the fun safely! 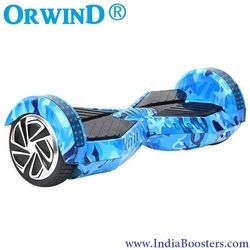 Orwind MR.WHEEL HOVERBOARD 6.5 / 8.5 /10 INCHES SELF BALANCING SCOOTER( Assorted Colours & Designs )DESCRIPTION: OrwinD Mr.Wheel Hoverboard is really aclassic design self-balancing scooter. With simple operation and sufficient battery range, you’re free to enjoy portable and pleasant life. Original Samsung Lithium Battery. Magnifying Slim Wheel. Safe Engine Control System. 20km Distance With FullCharge. 16km Per Hour Driving Speed. It Takes 75 Minutes toGet Fully Charged. Latest control system design. • Adopt latest imported Self- Balance system to realize auto balance. • Two separately wheels can work independently of each other. Eachwheels has its own motor and gyroscope system to realize writhe performance and the biggest enjoyment. • HighPerformance rechargeable Samsung Li-ion battery • Nature rubber tires with perfect performance to ensure run well. • Environment friendly. The Greenest way to go out. 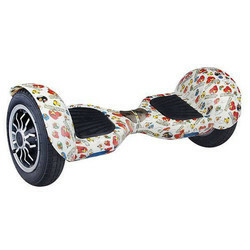 To serve the requisite demands of our clients, we are engaged in providing a qualitative range of Electric Hoverboard. 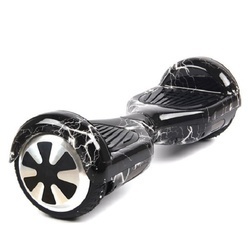 Making use of quality approved components as well modern methodology, the offered hoverboard is engineered at our reliable vendors’ end under the surveillance of deft professionals with utmost care and perfection. This hoverboard enhances the grip performance of tires for maximum safety. 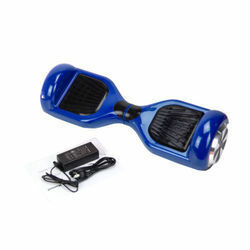 We offer this hoverboard to our clients at affordable price. 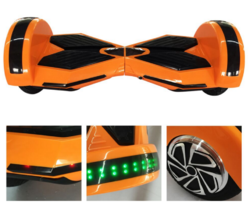 Looking for Self Balancing Hoverboard ?